Getting here Click here for help planning your journey to the Crawley Campus of the University of Western Australia. Parking on campus is free after 5pm, though it can get busy. The closest car park with access bays is Car Park 1. You can get more information here. Access There are a dozen steps up into the Hall - patrons can instead use the lift. Lift access available from the Undercroft on the south western corner of the building. Access to the lift lobby is through an automated swing door – please press the green button. Seating consists of removable seating; wheelchair spaces are available on the outside ends of the rows.There is no hearing loop. Toilets An accessible toilet is located by the south-side lift entrance. All other toilets are in the Hall's foyer, and are also accessible by lift. Lost Property Call 08 6488 2691 in office hours. Prams For safety reasons, when the Hall is seated prams may not be brought into the Hall. Collapsed prams can be left with our front of house staff. Smoking The University of Western Australia is smoke free. Smoking is not allowed anywhere on campus. 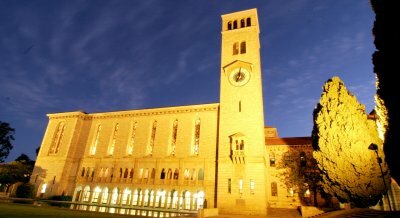 Built in 1932, Winthrop Hall is WA's most spectacular ceremonial space. Seating 974 people, the Hall has played host to many spectacular events, welcoming world-famous artists, Prime Ministers and royalty through its doors. You can read more about the Hall's history here.